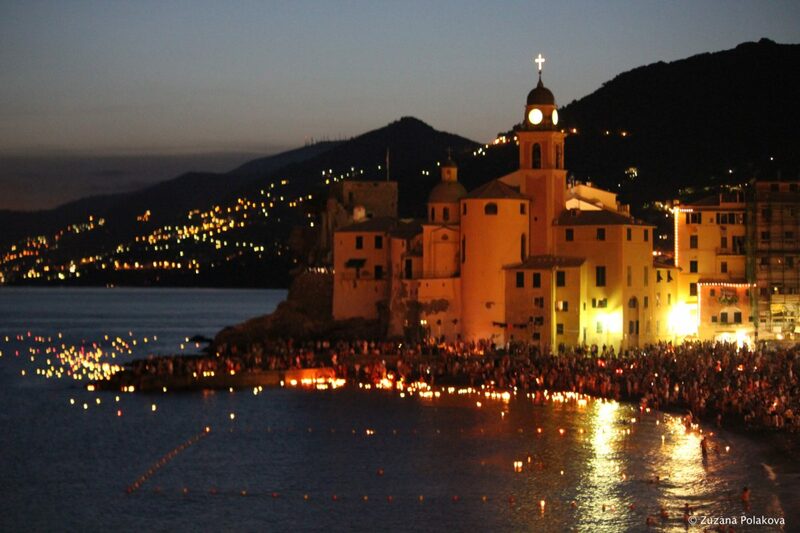 There are many events happening in Camogli between July and August. Stella Maris – Star of the Sea is one of the most amazing I have ever seen and of course it is my favourite! YOU must come to see this totally unique event! When I moved to Liguria and visited Camogli I couldn’t believe my eyes! 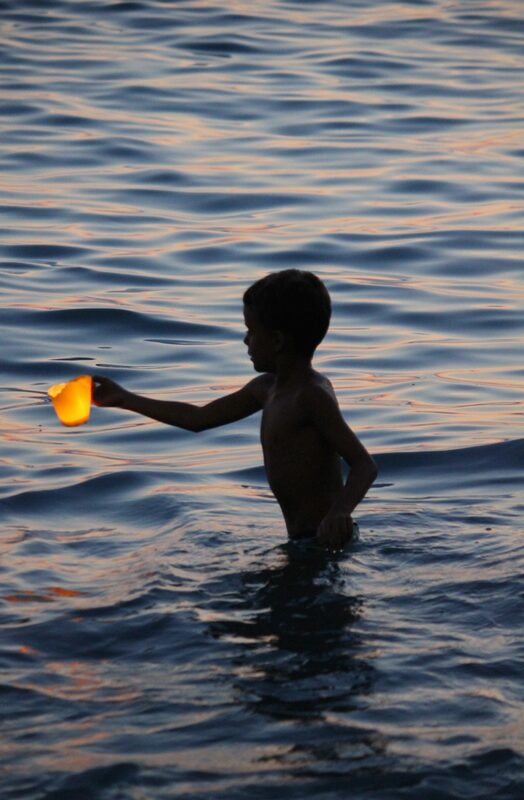 Everyone light up a candle light and place it on the sea. Kids are jumping in the waves and everyone is a part of this magical ritual. 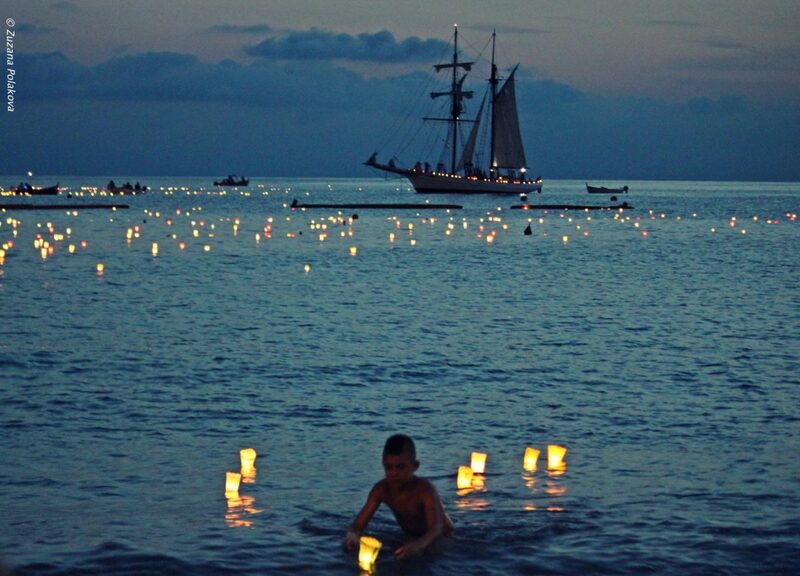 I had no idea, why they were all placing the lit candle on the sea, when I seen it for the first time…. Now I know that every light means a wish or a prayer. Always on the 1st Sunday of August. This year the event is being held – on the Sunday 6th of August 2017 from 3 pm. 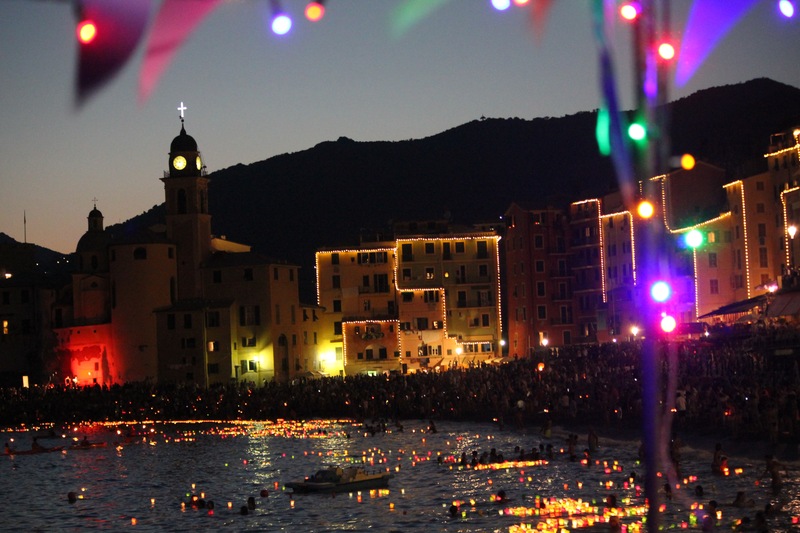 This festival dates back to the ‘400, and is dedicated to the “Star of the Sea”, the title is based on millions of floating candles in honour of Stella Maris – the Madonna star of the sea. 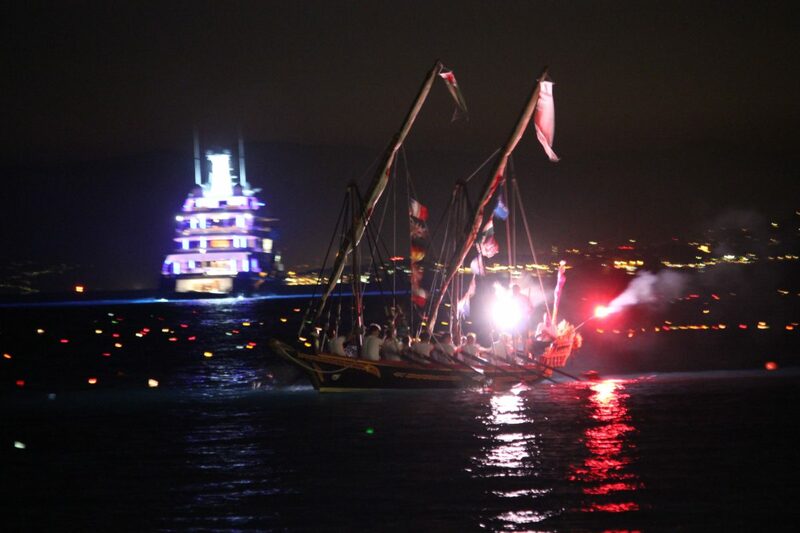 A boat procession led by a boat carrying a replica of the Virgin Mary. 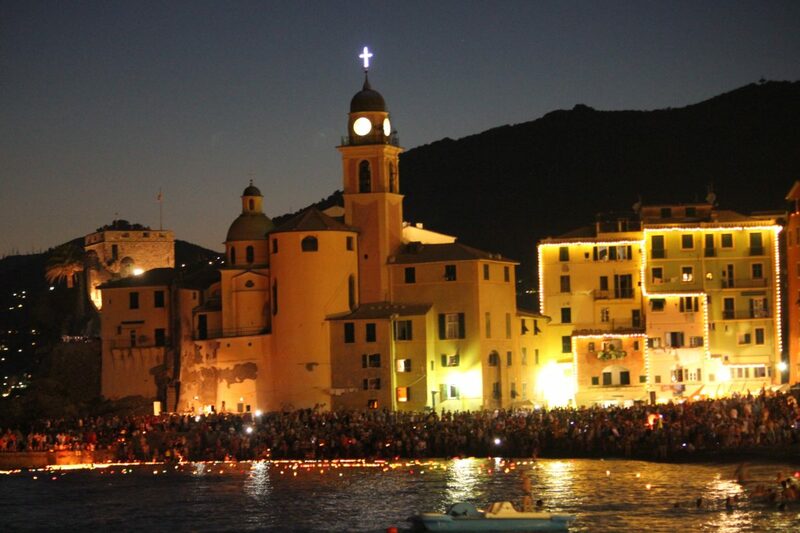 The boat leaves Camogli and travels along the coastline of Liguria towards Portofino to a Mass held at Punta Chiappa. 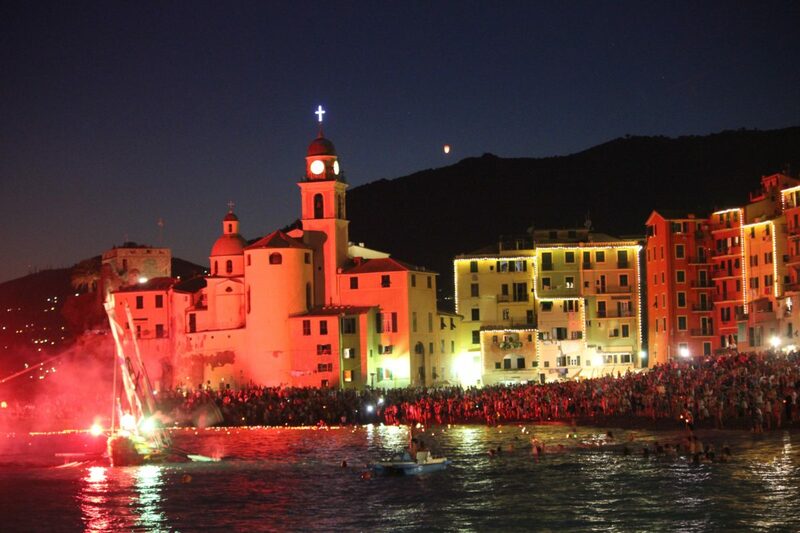 It all starts with a procession of decorated boats, from the port of Camogli to Punta Chiappa. This is dedicated to the Virgin Mary as “Star of the Sea”, as part of the celebration of the Mass at sea. Traditionally U Dragun takes part in the procession as well. It is a beautiful old vessel. YOU can see U Dragun in my photo. What a beauty, right? In the end the sea is pretty much covered with many beautiful boats. In the evening starts my favourite part of the festival. 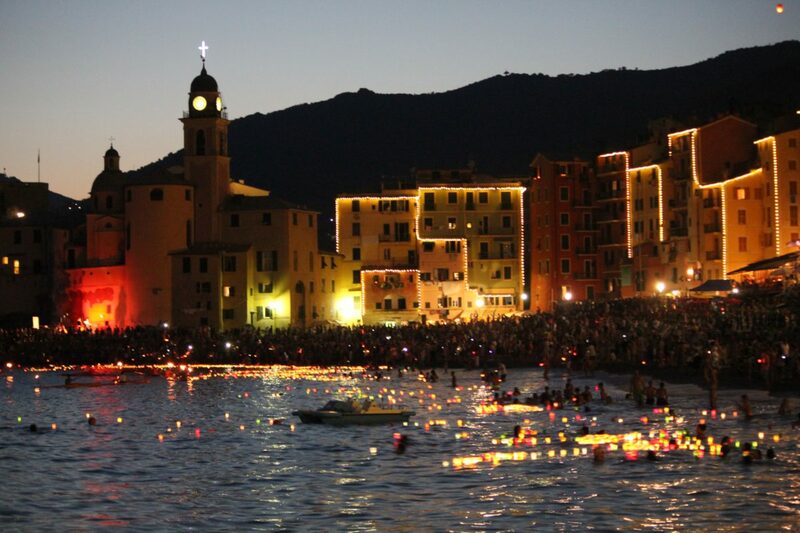 When everyone light up the candles and the dark comes and the sea is covered with thousands of lit candles. It truly is a magical event! dedicated to the Star of the Sea, in honour of the Virgin Mary, defender of the navigators.